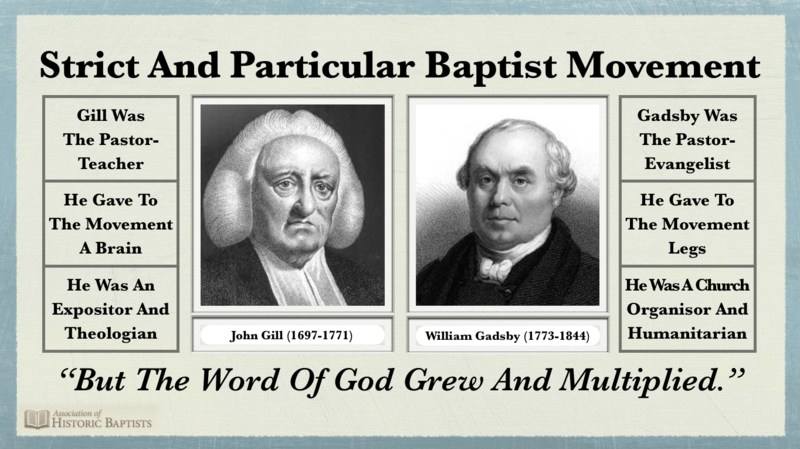 We are historically linked with a circle of churches in England known as “Strict and Particular Baptists”. The term Strict refers to the Lord’s Table designed for and restricted to the members of the church; the term Particular refers to the Lord’s Atonement designed for and restricted to elect sinners. However, for the sake of simplicity and clarity, we are choosing to identify ourselves as “Covenant Baptists”. The term ‘covenant’ refers to both of the preceding doctrines. The privilege of observing the Lord’s Table is based on the covenant church members have made with each other; and, the blessing of redeeming grace is based on the covenant the TriUne Jehovah has made with Himself. In order that we be easily identified with these doctrines, we will call ourselves, “The Covenant Baptist Church on [Name of Place/Street]”. FATHER: Come, my dear, bring me the Bible. CHILD: Father, it is now nine o’clock, and if I stop while you read and pray I shall get scolded, for I ought to have been at school before now. CHILD: Mother, did you see what handsome bonnet Miss Dressy had on at the chapel this morning? MOTHER: Child, your mind runs upon nothing but pride and nonsense. Do you suppose that I have nothing to do at chapel but to notice what people wear? Did you ever ask yourself what you went to chapel for? CHILD: Indeed, mother, I never thought of such a thing? What do people go for? These are notes of a sermon preached on Sunday 24 September 2017. They have not been proofread. This is the last part of a short series of sermons on the Bible compared to a plough. The subject of this sermon is the Gospel Law—the rule for the believer’s life is the Law of Christ, not the Heart Law or Moral Law (Ten Commandments). These are notes (with amendments) of a sermon preached on Sunday 1 October 2017. They have not been proofread. This is the last part of a short series of sermons on the Bible compared to a plough. The subject of this sermon is the significance of the twofold message of the Bible—the Covenant of Works and the Covenant of Grace. These are notes of a sermon preached on Sunday 1 October 2017. They have not been proofread. This is the last part of a short series of sermons on the Bible compared to a plough. The subject of this sermon is the principle of the Gospel Law explained by the Apostle Paul.